One last hurrah before the Cheltenham Festival comes this Saturday: Sandown’s Imperial Cup, a fiercely competitive handicap that has previously been used as a springboard for Festival success. Olympian (who won the Coral Cup at Cheltenham), Blowing Wind (County Hurdle) and Gaspara (Fred Winter Handicap Hurdle) have all completed the lucrative double. Others have tried too, like Flying Angel who won the 2016 edition and was then second in the Marin Pipe at the Festival. He’s also the last winner to try the double as the last two, London Prize and Mr Antolini – didn’t run at the same year's Cheltenham Festival. 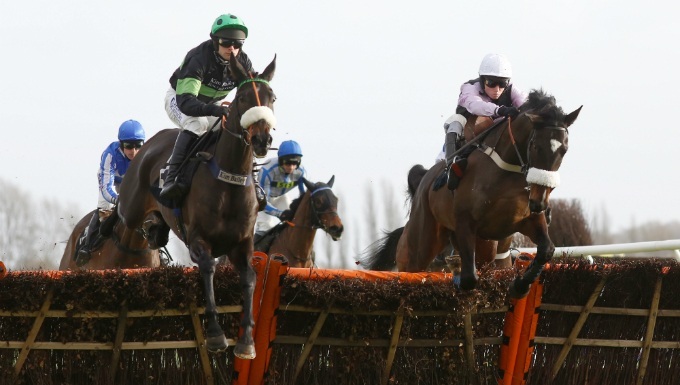 As with any handicap hurdle, there are lots of trends important to follow in the Imperial Cup. But the most notable Imperial Cup trends are the profile of unexposed, lower weighted horses. The last 10 Imperial Cup winners had won no more than twice over hurdles before and if you look back, that streak extends to the last 16 years. All but one winner had raced in the last 6 weeks. 14 of those horses carried 10st 131lb or less, and all but three had a maximum rating of 124. The Imperial Cup betting favourite has a moderate record. There have been 5 winning favourites since 2003, but the last was Qaspal, and in the last five years we’ve also had two 20/1 winners and a 33/1 winner, so it pays to be open minded when making your choice in the Imperial Cup betting. Who is this year's favourite? Monsieur Lecoq, the progressive five-year-old who runs in the colours made famous by, amongst others, Tea For Two is the Imperial Cup betting favourite at 11/2 with 888Sport. A wide-margin maiden hurdle winner at Ffos Las in December, he was dominant in a Class 2 Handicap Hurdle here in January on Grade 1 Tolworth Hurdle Day, when winning by nine lengths from the solid yardstick Our Merlin. He went up 10lbs for that success, but he appeared to have at least that much in hand last time and will carry a reasonably low weight. The more rain the better for him. There’s a number of fascinating contenders in the Imperial Cup betting, and second in the odds is First Flow. He went off 12/1 for the Supreme Novices’ Hurdle at Cheltenham last year after winning the Supreme Trial at Haydock by 10 lengths. He disappointed at Cheltenham and has not run since, but if returning to anything close to fully fit on a surface with enough give, he would appear to be big at 8/1 (Ladbrokes). The betting is as important to watch as the weather with him, as any more rain will enhance his prospects. Dr Richard Newland is a trainer to follow in these types of races and perhaps his Leoncavallo could be the one to latch on to. He was third in the Galway Hurdle when last seen over the smaller obstacles, behind only Sharjah (who is running in the Champion Hurdle next week) and Blazer, and is just 4lbs higher here. Presumably this race will have been the target for a long time, and with soft ground presumably not a major issue, he can go well at current odds of 16/1 with Bet365. Winston C (10/1 888Sport) is a course and distance winner for trainer Harry Fry who showed a good attitude to grind down Colin Tizzard’s Beaufort West in a novice hurdle. He’s had just the three runs and improvement ought to be coming too, even if this is a step up in class. Fergal O’Brien’s Benny’s Bridge (8/1 Betfair) was visually impressive when making his handicap debut at Cheltenham, being held up being before coming with a sharp late run to eventually run out a comfortable winner of Cheltenham’s handicap hurdle on Trials Day. The form of that race looks solid through the second Flash The Steel, a well backed previous winner – although any softening in the ground would be a concern for him. Call Me Lord (9/1 888Sport) was a neck second to Mr Antolini in this race last year before thrashing a small but select field in the Select Hurdle here over 2m5f on the last day of the season. He went off 7/2 on his return in the Long Walk Hurdle, and is now an interesting contender back in handicap company as he’s only 8lbs higher than last year. Trainer Nicky Henderson also has the hat-trick seeking Dream Du Grand Val (7/1 Paddy Power).